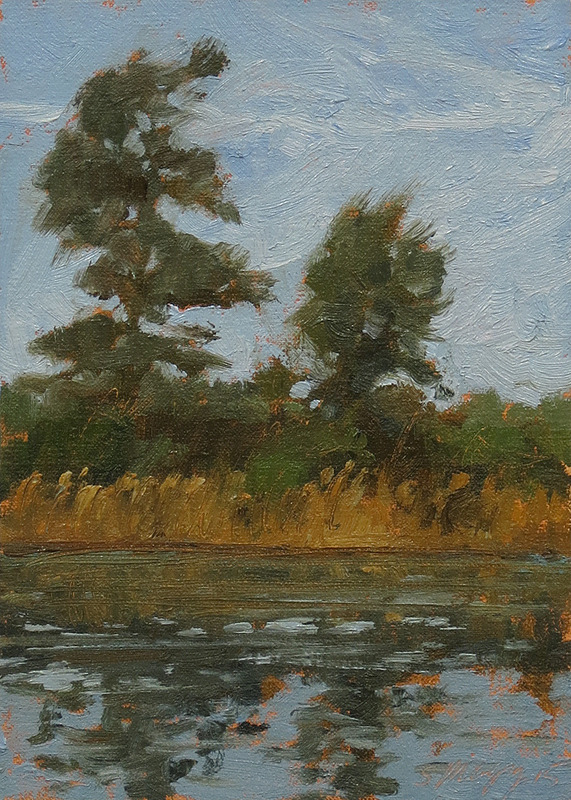 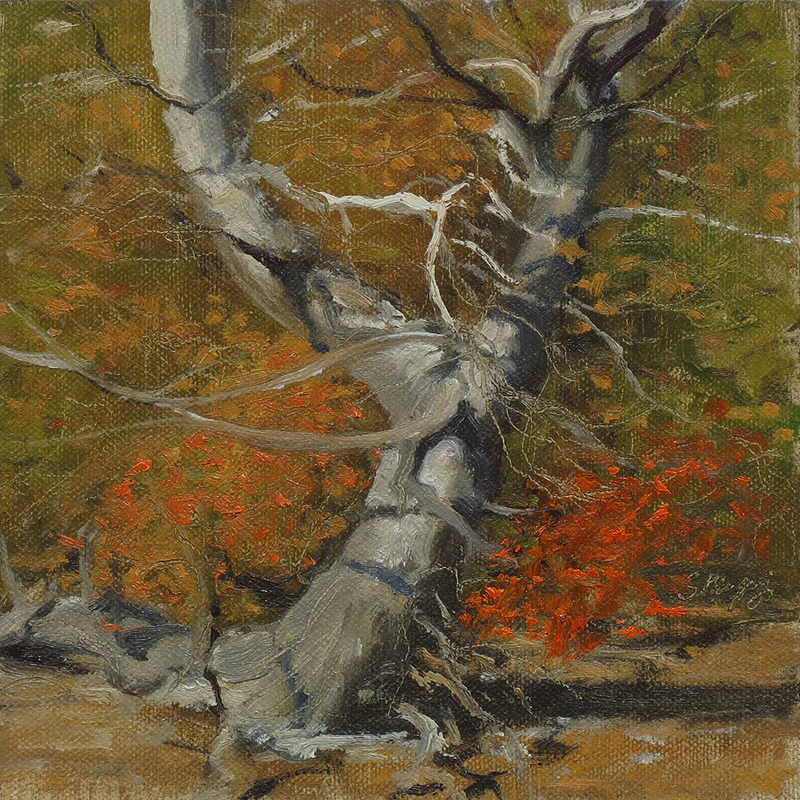 This landscape painting is an Autumn view of a wonderful old tree and shadows on Belle Isle. 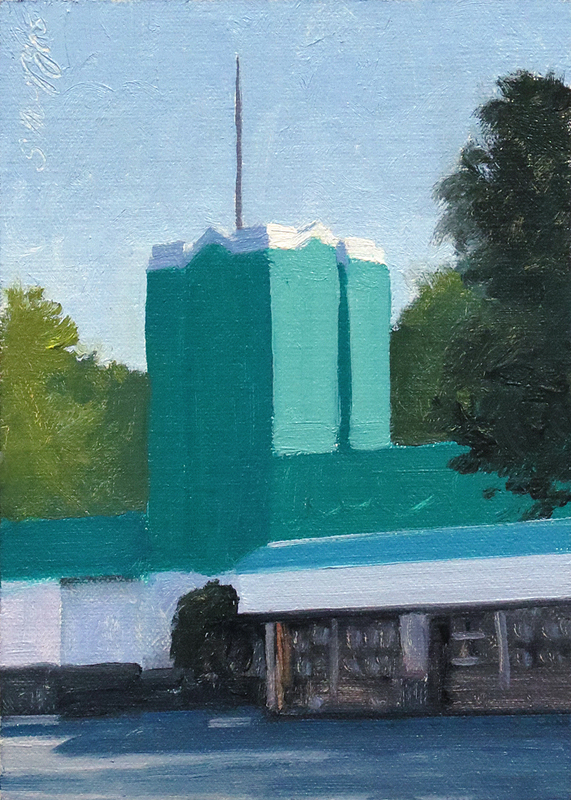 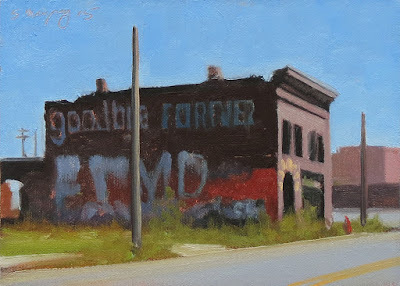 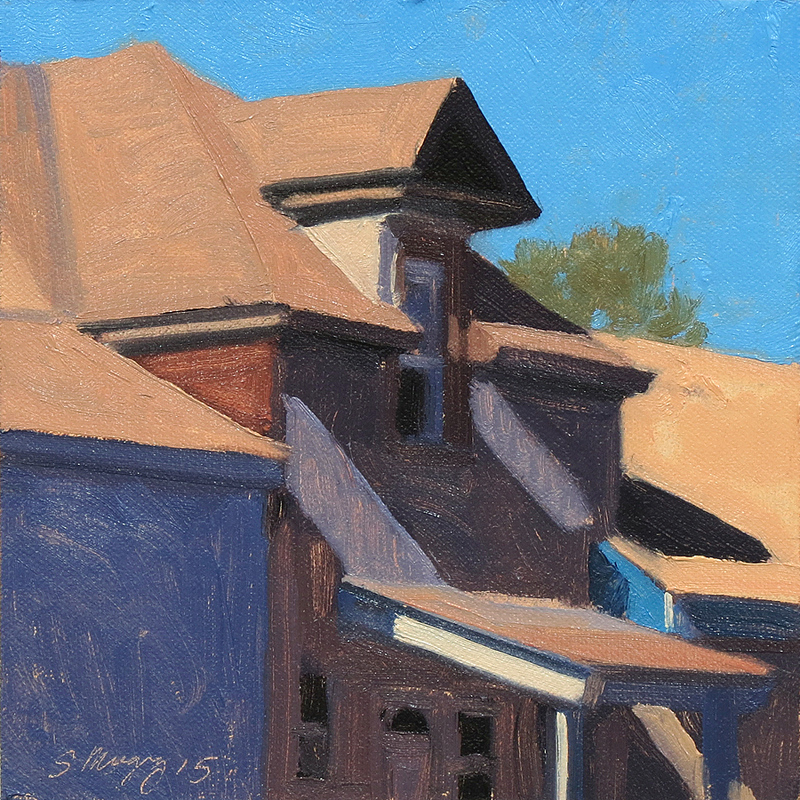 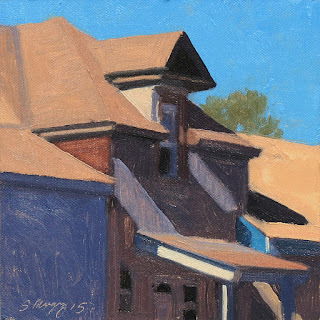 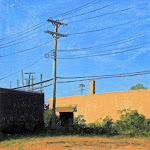 This urban landscape painting is a view of a sunlit building on Springwells St in Detroit. 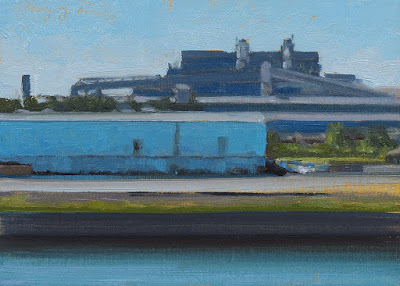 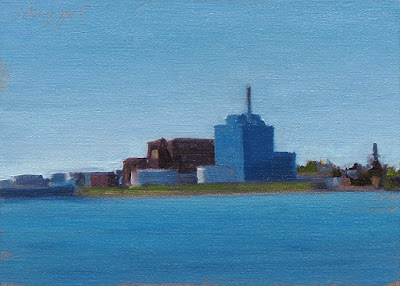 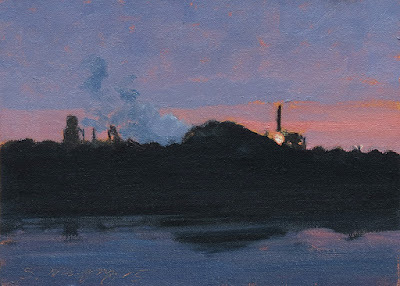 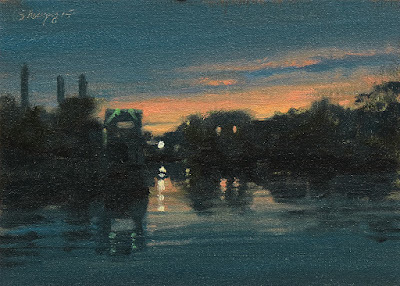 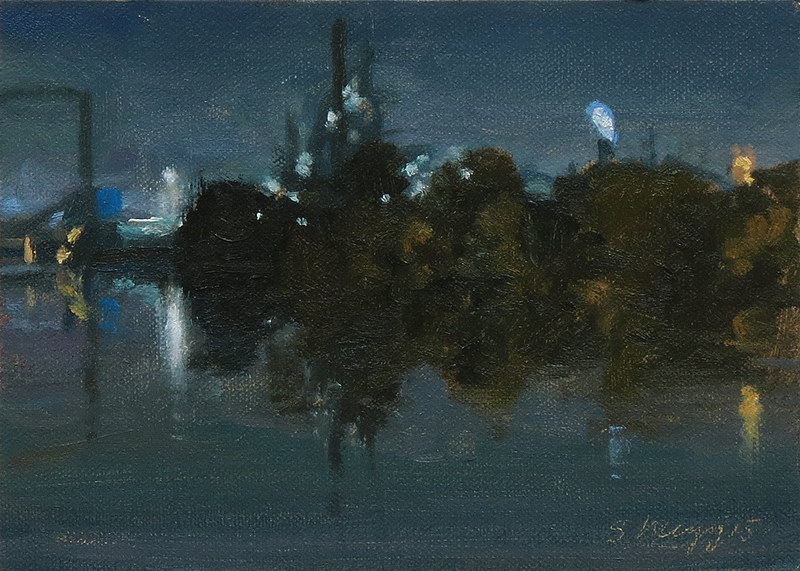 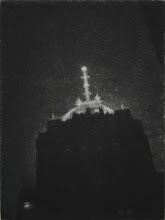 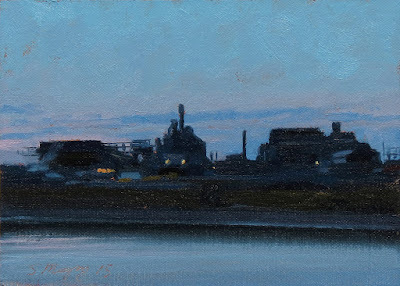 This industrial painting is a nocturne view of the Great Lakes Steel complex on Zug Island along the Detroit river painted on a plein air panel, not the thick slotted panel. 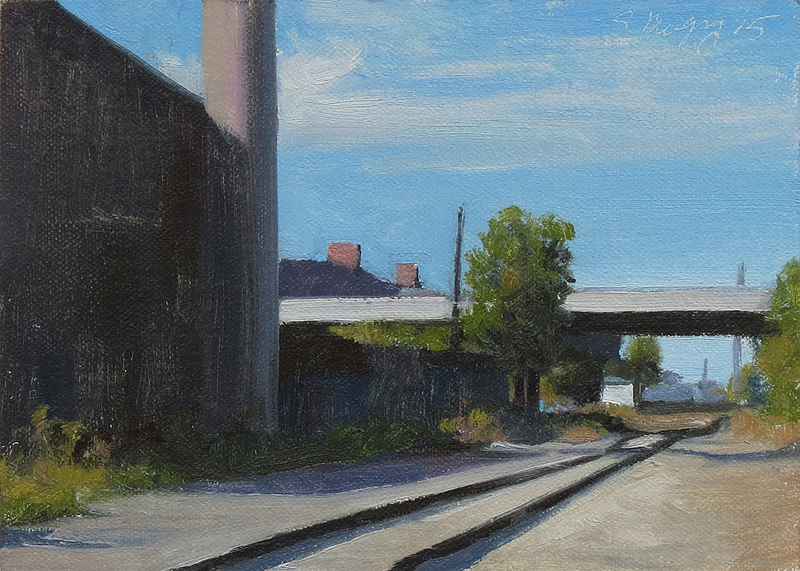 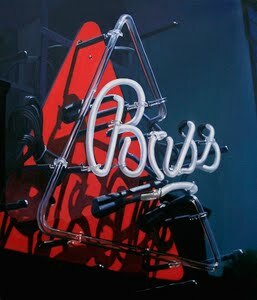 This urban landscape painting is a view of RR tracks and shadows in Detroit.